Gum disease is the leading cause of tooth loss worldwide and can be prevented. Ensuring your teeth and gums stay healthy is the most important aspect of dentistry. 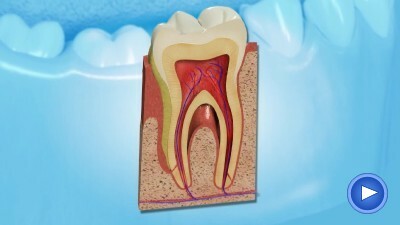 Plaque is the film of bacteria which is constantly forming on the surface of and in between teeth. If the plaque is not properly removed on a daily basis you are likely to suffer from gingivitis leading to gum disease. When plaque has been present for several days it can combine with calcium from saliva to form calculus, a hard deposit, which typically forms behind the lower teeth and can also be hidden below the gum level. It is the toxins produced by the plaque bacteria which inflame the gums and cause them to become red, swollen and to bleed on brushing. This is known as gingivitis and can be completely reversed. Your dentist or hygienist will remove any hardened calculus and show you the most effective way to keep your teeth free of plaque at home. This usually involves brushing twice a day for at least 2 minutes at a time and also cleaning interdentally with floss and brushes. Gum disease is the more advanced stage of gingivitis whereby the tissues which support the teeth become inflamed and the bone holding the teeth in place is reduced. In time, plaque around the crown of the tooth may spread down below the gum level and the inflammation results in the formation of "pockets" (spaces between teeth and gum) and also bone loss. As more bone is destroyed, the tooth begins to loosen and as the pockets around it get deeper, abscesses can occur. Sometimes the gum will shrink and part of the tooth will become exposed. If left un treated this will lead to tooth loss. Although the tissue and bone destruction from gum disease is not reversible, treatment can help ensure that further progression is stopped and the affected tooth or teeth can be saved. Your dentist or hygienist will remove any deposits from pockets around affected teeth and also teach you how to slow down the build up of further deposits at home. The combination of professional tooth cleaning at Freedom Dental and effective cleaning at home will stop the inflammation and prevent further destruction. The gum pockets will heal and the gums will actually recede back to a healthy level (as the pockets are eliminated). Who is more likely to get Gum Disease? The most important thing in addition to excellent home cleaning is to make sure that you regularly visit your dentist at Freedom Dental. All our dentists are specially trained to spot the signs of gum disease as soon as they start to develop. If you are found to have Gum Disease you can be treated on the NHS by your dentist, however we believe that our specialised hygienists are the best people to care for your gums. Although our hygienists can only be seen on a private basis we have made each session with the hygienist affordable at a cost of only £35.70. This compares to a cost of £51.30 on the NHS for a deep scale. If your gums bleed during brushing, or if you are concerned about bad breath then please call Freedom Dental on 0161 486 6821 to arrange an appointment. Alternatively you can send an email or simply fill out the form on this page.